Authorities are searching for a grizzly bear likely responsible for the death of Wyoming hunting guide Mark Uptain. A Wyoming hunting guide has been found dead after he and a Florida hunter were attacked by bears on Friday. Guide Mark Uptain, 37, and his client Corey Chubon came back to the site of an elk kill Friday morning in the Teton Wilderness. Chubon, who was bow hunting, shot the elk Thursday, but he and Uptain were unable to find the animal at the time. The pair located the carcass and prepared to remove it when they were charged by two bears, according to authorities. Chubon was able to escape and grab his pistol, online news site Buckrail reports, but wasn’t able to safely fire at the bear who was at that time on top of Uptain. Chubon told authorities he threw the gun to Uptain before fleeing the scene to call for help. Chubon suffered leg, chest and arm injuries and was flown to a Jackson hospital, according to Teton County spokesman Billy Kirk. He was released from the hospital Saturday, the same day authorities found Uptain's body. 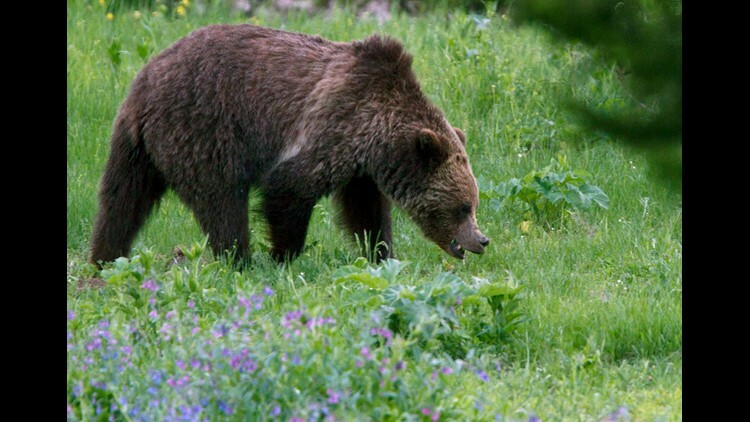 Wyoming wildlife managers have since killed two grizzly bears in connection with the attack. A June article published in Jackson Hole News & Guide described Uptain, a Casper, Wyoming business owner, as a husband to wife Sarah and father to five children. “I enjoy spending time with Sarah and the kids, serving on the board of elders at First Baptist Church, riding horses, hunting and fishing, guiding hunting clients, biking, playing chess and staying fit,” Uptain told the newspaper.